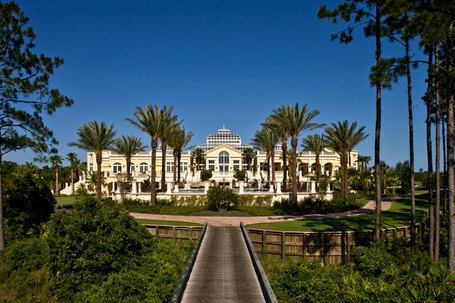 The Conservatory at Hammock Beach Resort features custom homesites nestled within a Tom Watson signature designed golf course, a private golf club exclusively for Hammock Beach Members and resort guests. The Tom Watson Signature design Conservatory Course is Florida's longest and is truly a masterpiece. This breathtaking course is highlighted by waterfalls, babbling brooks and veneered field stone work. To the 140 sand and coquina bunkers, Watson also added three sod-faced bunkers, a nod to his affinity for British links-style golf. Golf Digest, in its January 2008 issue, ranked The Conservatory third on its elite list of America's Best New Public Courses. About Tom Watson: As one of professional golf's most prolific champions with eight major championship titles including five British Opens, Tom Watson is universally lauded for his passionate play, exceptional course strategy skills and attention to detail. As a golf course architect, Watson brings a similar focus and dedication to each of his designs. Since Watson designs only one or two courses each year, his commitment to excellence in golf course architecture is unquestioned. Each design exemplifies Watson's fundamental requirements of an outstanding course - beauty, variety and challenge.